DEADPOOL’s ART OF WAR #1 Rewrites the Book on Warfare This October! It’s been called the definitive work on military strategy and tactics. 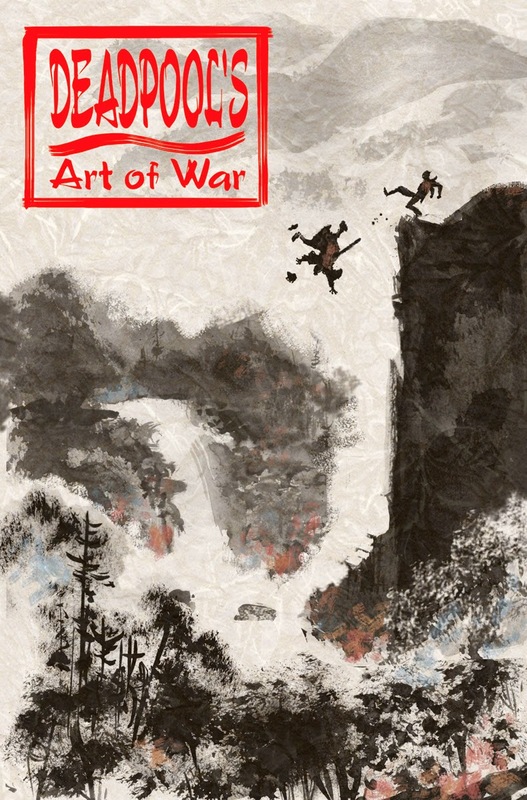 Sun Tzu’s seminal Art of War has influenced warfare for hundreds of years. From the battlefield to business and beyond, there has never been a work of more import when it comes to strategy and preparation. Until now! Today, Marvel is proud to announce DEADPOOL’S ART OF WAR #1 – the first chapter in a new 4-issue mini-series from New York Times Bestselling writer Peter David (All-New X-Factor, The Incredible Hulk) and fan-favorite artist Scott Koblish (Deadpool)! The Merc With a Mouth knows a thing or two about combat, and he’s gearing up to write his own version of Art of War. I mean, Sun Tzu didn’t even have laser guided missiles or an Incredible Hulk back then, so how accurate can his book on war really be? But it’ll take more than a great book if Deadpool wants to outsell the original. His plan? Cause enough chaos and war across the world that they’ll have to buy his book when it comes out! How’s that for strategy? Asgardians, Avengers, X-Men – you name it, Deadpool’s probably going to have some trouble with them when he tries to star the next world war. Prepare for the next step in military strategy when the chaotic mayhem begins in DEADPOOL’S ART OF WAR #1 this October!